Three years ago today I was in Austin, Texas with Nathan where we said “I DO.” It was the single best decision I’ve ever made and I certainly hope he feels the same. We got married on a Monday. 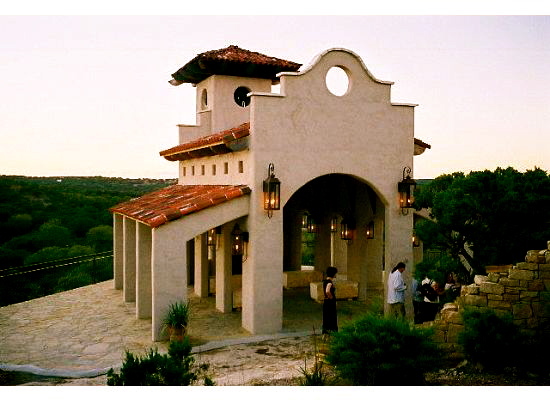 We got married at the Chapel Dulcinea just outside of Austin. It is so beautiful. Nathan and I plan to have all our weddings there. It’s a free chapel and quite unusual. 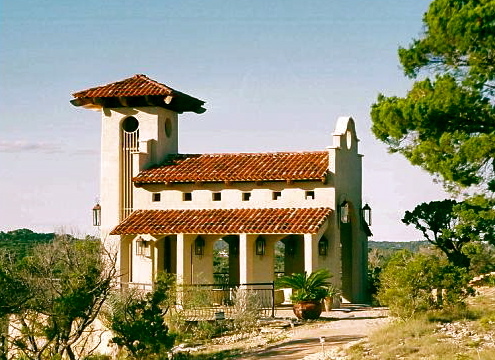 You can read all about it at www.chapeldulcinea.org. We found our minister at www.weddingstogo.org — She was very nice and did a lovely ceremony. Brent and Tina got lost and were the last to arrive. None of us were surprised because that’s exactly why they are such a cute couple. Our friend Clay played a Lucinda Williams song, Something About What Happens when we Talk. Angee arranged for him to sing it and it was a total surprise as I told her to “just pick a song.” It was perfect. My friends who are rodeo photographers – Rhonda and Sammy—came to Austin and took pictures for us because they are simply lovely people. 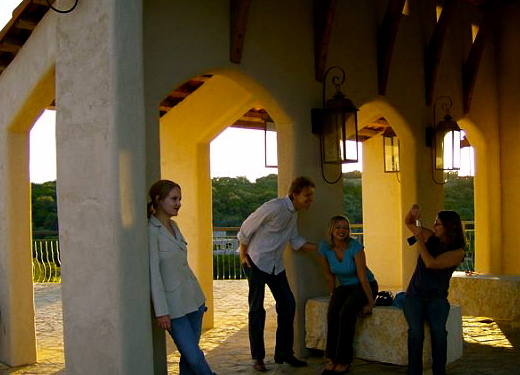 Our bohemian friends, my rodeo friends and my college friends blended beautifully for the event. I bought a long jacket to wear at the ceremony. When we got to Austin the temperature was around 90 degrees with 98% humidity. So, we went shopping on the morning of our ceremony and Nathan picked out something for me to wear. My fabulous friend Heather (one of the Chickens) came to the wedding and stayed at the strange little Austin Motel that I had booked for her. I think that sometimes she wants to kill me when she finds herself in some of these situations – but she’s a good sport. I chose my wedding bouquet and all the flowers for it just a few hours before the wedding. I could tell I was making the florist a little nervous. We went to eat at Salt Lick BBQ after the ceremony. We love the food, but the wait staff tends to be quite contrary at times. On this night, when Clay decided to take his leftovers home with him rather than have it thrown out, the waitress came over to scold him and pointed her finger in his face and said, “I know you didn’t eat that meat.” It’s a line my friends and I now say on a regular basis. We left her a big tip anyway. On our wedding night, Nathan and I spent a good part of the night driving around town with Heather looking for my vice – a great glass of unsweetened iced tea. At different times during our wedding and honeymoon Nathan and I both vomited – alcohol was not involved. After the wedding ceremony in Austin, we had a small reception in my hometown and stayed in a cabin at Broken Bow Lake. The cabin was called The Sugar Shack. We went fishing and the temperature dropped about 20 degrees. It was exceptionally hot in Austin and unbelievably cold in Broken Bow. My cousin Linda played the standup bass at our reception. Nathan got food poisoning at our reception and threw up on our way home. The worst part was that we took the Talimena Scenic Drive on our way home. There were lots of hills, curves and groans. While in Southeastern Oklahoma, we looked for, but did not see, Bigfoot. Here I sit, first thing in the morning, coffee in hand. Reading your blog I expected to get choked up a little, or possibly even a tear in my eye… Instead I have a spit-take when you wrote, “Nathan and I plan to have all our weddings there”. A coffee spit-take at 8 am was unexpected. And speaking of expectations… I should have known I’d laugh out loud at this blog. Oh, good times…. Congratulations friends! Much love to you both! I wonder how long I will continue to celebrate this…..probably forever! And Chicken Monica and her husband, Alan, kept Nathan sane amongst all of Misti’s family during the reception. Didn’t we have breakfast together the next morning at that little hole-in-the-wall greasy-spoon in Hoochatown? Alan and I ate there twice that trip. I forgot about that! We did eat there and your cabin was waaaaaaaaay better than the Sugar Shack. Bless your hearts! Can’t believe its been 3 years! You are quite a pair and both so lucky!!! Much love!!! !